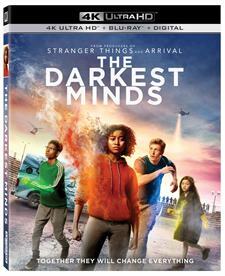 Download The Darkest Minds in Digital HD from the iTunes store. 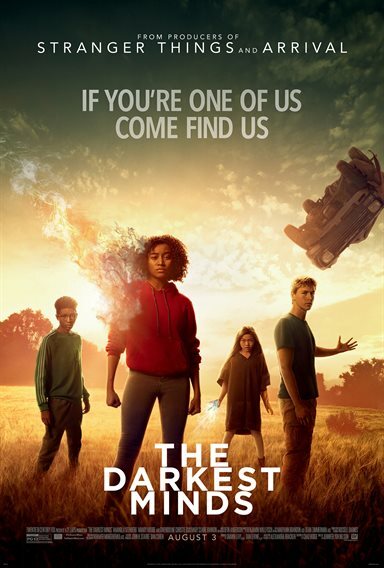 The Darkest Minds images are © 20th Century Fox. All Rights Reserved. The young adult fiction market has vastly increased over the years and the new trend is to take these novels and turn them into feature films. The Hunger Games, Maze Runner, Divergent, Twilight – these are only a few examples and the in the latter half of this year we got another one when author Alexandra Bracken's book The Darkest Minds was released in theaters. Four months later the science fiction story has been released on 4K, Blu-ray, DVD and digital download. If you read the book, I'm sure you will want to experience this visual interpretation. As the story begins an unexplained outbreak suddenly hits the earth and kids either start dying or mutating. Those that survived were herded into camps and divided by colors. Blues were super intelligent, greens could move objects, yellows could manipulate electricity, oranges could use mind control, and, the most dangerous, reds could create fire. Scared of the oranges' and reds' abilities, the government eliminates them – all except Ruby Daly (Amandla Stenberg; Everything, Everything) who ended up mind controlling her doctor into placing her into green and then hid her true abilities for the next six years until her jailers figured out a way to expose her. Ruby escaped the camps with the help of a sympathizer named Cate (Mandy Moore; This Is Us) but it turned out Cate didn't exactly have the best intentions and Ruby runs from her with the help of other escaped kids. Liam (Harris Dickinson; Beach Rats), Chubs (Skylan Brooks; Southpaw) and Zu (Miya Cech) then set out with Ruby to find the Slip Kid/Clancy (Patrick Gibson; What Richard Did) who supposedly set up a camp with other mutant children. 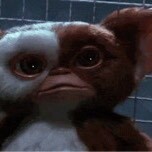 But all wasn't what it seemed and the Slip Kid ended up having his own agenda. Ruby eventually escaped him as well but lost Liam whom she started having feelings for. Stenberg is one of the up and coming young adult actresses out there right now so it was a natural fit for her to play the lead in this drama. She gives Ruby the right amount of strength mixed with vulnerability. Dickinson is also well cast and the two have a terrific chemistry. Cech is adorable as the quiet scared girl and Brooks rounds out this team of fugitives nicely. Gibson blends an innate likability with a sinister twist just beneath the surface. This cast helps the story to be slightly more believable. The 2160p presentation on the 4K disc is excellent showing fine details from the threads on the clothing to the leaves in the forest. The color palette is deep and true while the blacks are dark and rich. The DTS-HD Master Audio 7.1 is extremely strong. The effects are channelized well and the whole experience envelopes the viewer. The extras are minimal but include Remember – A Look Beyond Ruby and Liam's Last Kiss (original animatic), Gag Reel, Jennifer Yuh Nelson: Heroine at the Helm, Character Profiles, Storyboard to Screen Comparison, and Feature Commentary which is all housed on the Blu-ray disc. The issue with the film is that the story is neither new nor inventive. I've seen this idea done before with adults (and with a bigger budget) and this one is just a reminder of what else is already out there. There is also never any explanation as to what caused this outbreak or the sci-fi mutations that afflict the youth of the world. If you have a young adult in your household who read the book you may want to pick up this film for them as the will probably enjoy seeing the story come to life. Let the August @FlickDirect screenings begin!